High temperature conditions are present in many industries where running and/or peak temperatures exceed 120°C. These conditions can cause the lubricant to soften or degrade with the consequence of improper lubrication eventually resulting in component damage. 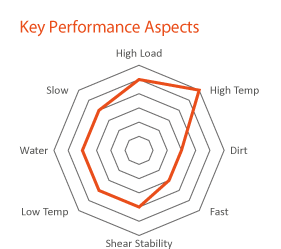 An appropriate lubricant can aid these challenges with its ability to withstand shear and thermal degradation. Peak temperatures that often exceed the recommended operating temperature range of the lubricating grease will usually be accompanied by the need for more frequent re-lubrication. Ball bearings, kilns, roller bearings, etc. Are Your Customers Dealing with Challenging High Temperature Conditions? 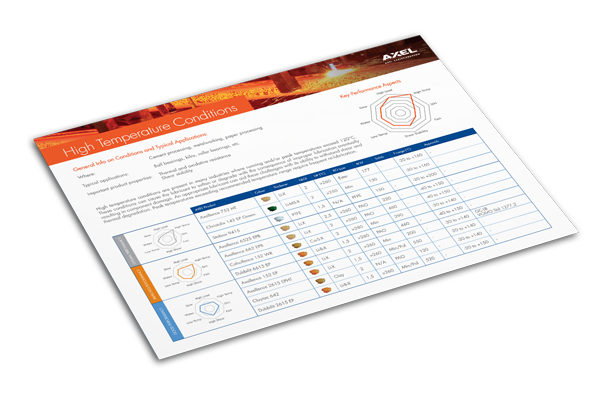 Download our High Temperature Conditions Mat and learn more about a whole range of technologies and products (good, improved and optimal performance) you can start offering your customers today.